PHOTO: Mnangagwa in bizzare ritual? 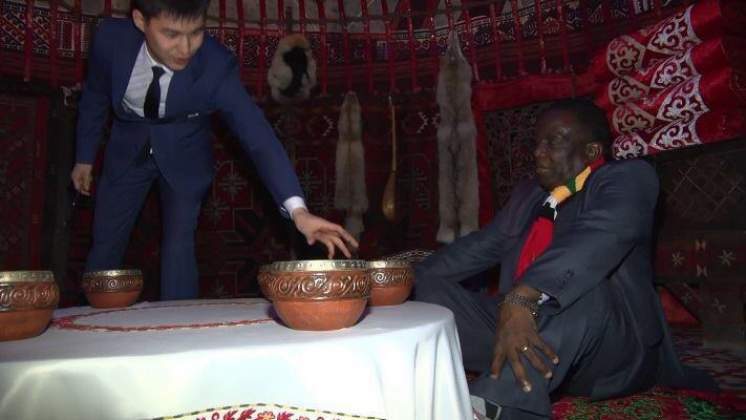 A picture of President Emmerson Mnangagwa sitting in some traditional Asian setting has emerged on social media raising speculation that he was participating in some bizarre ritual. Last year Professor Jonathan Moyo alleged that Mnangagwa is involved in some bizarre rituals and he uses them to retain power.